I was trailing this stock down since I put it on my radar to purchase. 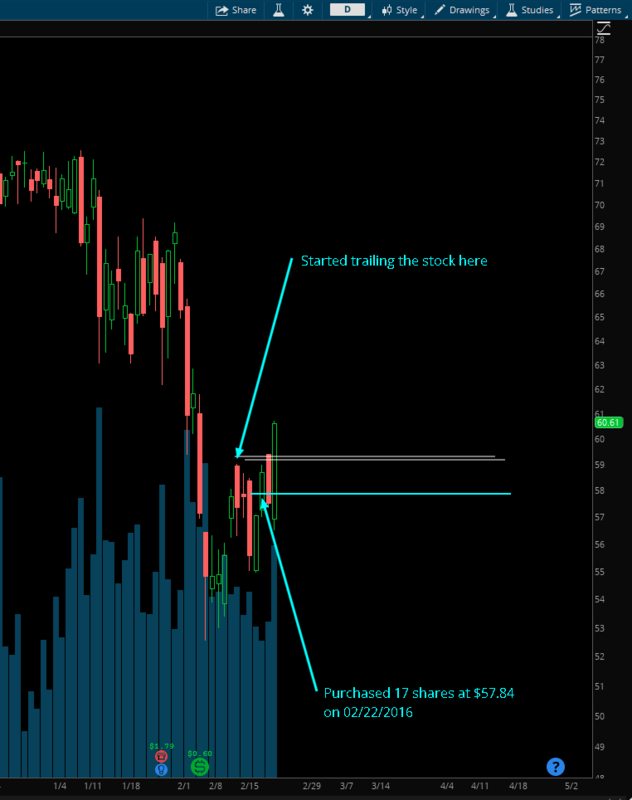 In this post you can review the entire process of using this trailing strategy. 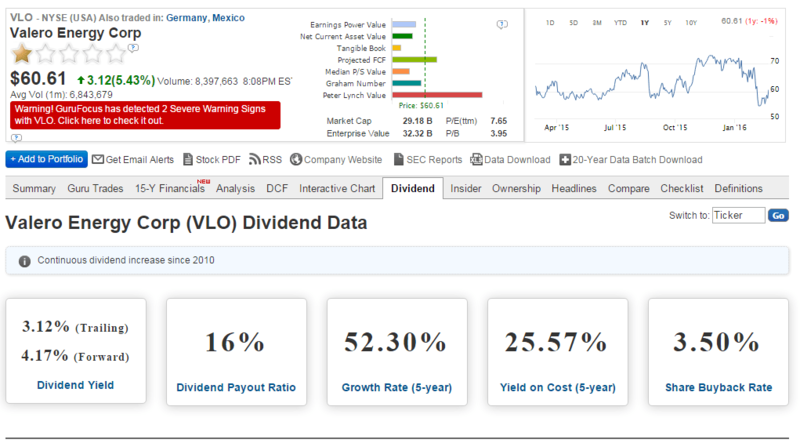 And on February 22nd I purchased 17 shares of Valero (VLO) stock. I like the stock and its data. Two days ago, my price target was hit and I purchased 17 shares. It could have been a better result if the stock showed some more weakness, but I am satisfied with the purchase. I did all I could do to maximize my purchase power although it didn’t play better than I expected. Now, I put my dividend reinvest to autopilot (DRIP) and continue reinvest dividends for the next 25 years or until all my dividend income reaches $1,000 per month. Then I will stop using DRIP and switch to selective dividend reinvestment program.